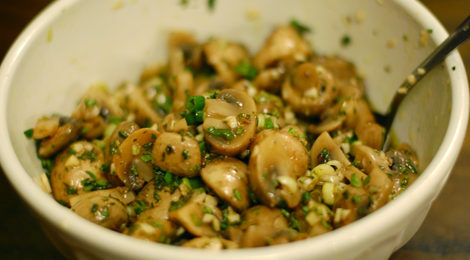 These mushrooms are the perfect blend of oily and vinegary. They have plenty of garlic and tons of herbs so each bite is an explosion of flavor in your mouth. The added tamari brings in a subtle flavor to keep you coming back for more. Need something to bring to Thanksgiving? We’ve got you covered, and it will be the antipasto addition you’ve been missing. This recipe makes about 2 cups when finished; and though that may be plenty for some people, our family needs at least 2 times that amount to go around. Needless to say, I’ll be doubling or tripling this recipe to meet our needs. Since it only takes 10 minutes to prep, it’s easy to whip up the day before and have it ready for snacking on the next day. Feeling adventurous? Try adding some chopped zucchini for extra veg, or celery chunks for some nice crunch. This marinade is tasty regardless of what you decide to put in it. Have fun with it, and enjoy! Bring about 4 cups of water to a boil, or enough to cover all the mushrooms. 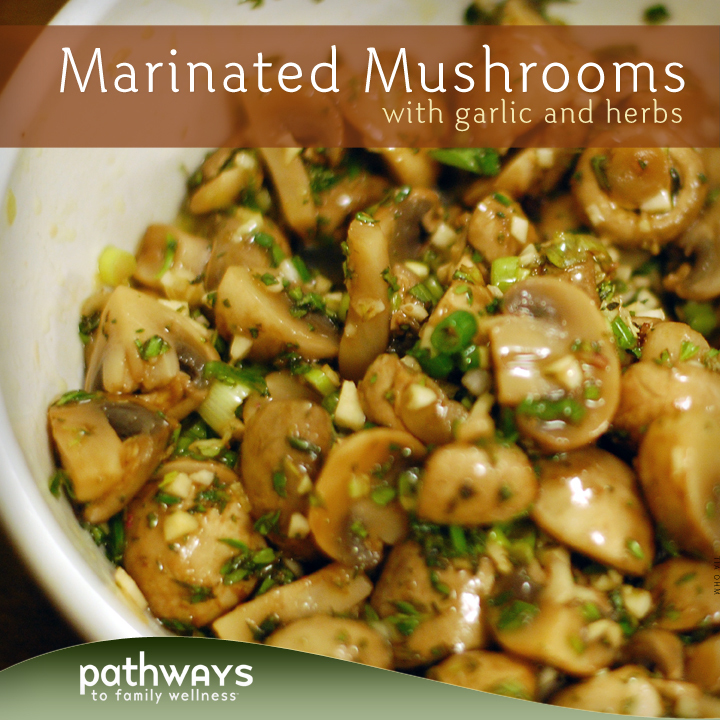 While waiting for the water, wash your mushrooms and trim off the stem if desired. Cut into halves or quarters depending on how small you want them. Place mushrooms chunks into boiling water and boil for about 7 minutes. Drain and let cool. Combine all remaining ingredients in a boil and mix. Add cooled mushrooms and mix well. Let sit for at least 2 hours or over night and serve at room temperature.